We have just completed the first training for 2012, which has been very exciting for us. We had trainee’s who proved to us that its not just about having ideas but hard work and perseverance can make a huge difference. 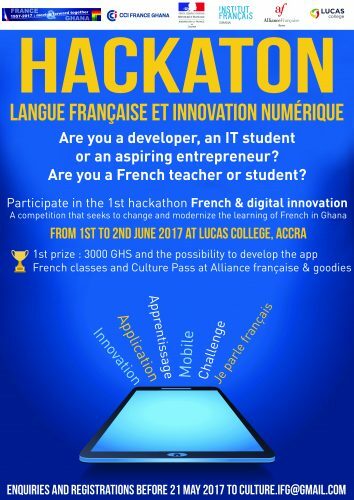 Some of their apps have already been deployed and await the competition this coming July 28, 2012. Meanwhile we are ready to begin the Kumasi training which will be held at the KNUST campus, starting 17th May 2012. The training will run for three weeks and will hopefully end on the 9th of June 2012. We have, as always, a high caliber of trainers who are really excited about what they do. Trainees will benefit from their knowledge, experience and expertise. We have also invited local and guest speakers to talk on various topics concerning entrepreneurship in the mobile industry. Click here to find out more about the training program. After the training, both Accra and Kumasi trainees will compete for amazing prizes which will be given to the best three ideas. This inter-city competition is the first of its kind that we hope will unearth and reward relevant solutions to solve common problems in our country. If you are interested in taking part in this training program click here.